Squatters on State land in Cuvu, Nadroga, are close to achieving their dream. Prime Minister Voreqe Bainimarama told them yesterday work had already started to give them leases. 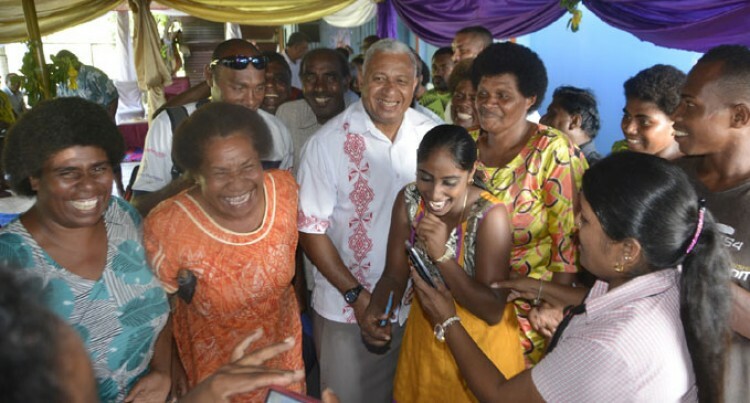 “You will soon receive the good news,” Mr Bainimarama said. He was responding to a plea for help from one of the squatters, Yakub Ali, at a talanoa session in Cuvu. Mr Ali said: “Some of us are casual labourers while others work in the town and nearby hotels but we still are unable to pay or buy land because we do not earn that much. Mr Bainimarama said the Ministry of Lands and the local government had already begun work on the issue. “I can tell you that the lands and local government ministries have already begun exploring the possibility of leasing out the land to you (current residents),” he said. Discussions centred on leasing arrangements similar to the Clopcott scheme in Ba. Yusuf Khan could not hide his delight after hearing the PM yesterday. “This is great news. We moved to this land from Momi 30 years-ago,” Mr Khan said. Mr Khan, a father of four, left his job after he suffered a minor stroke a few years ago. “We are thankful to the Prime Minister for giving us assurance,” he said.